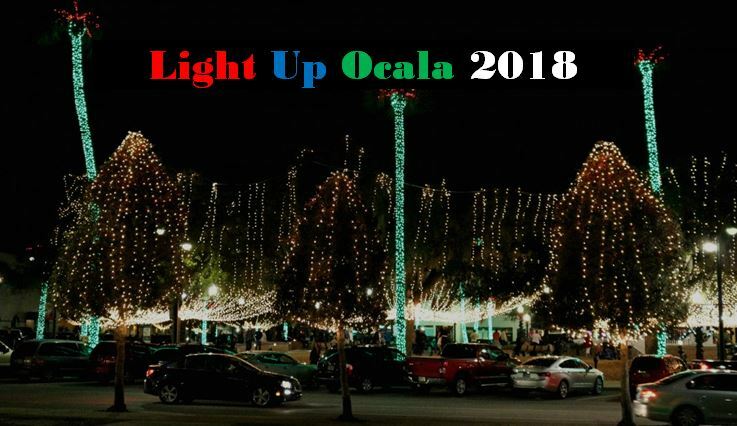 The 35th annual Light Up Ocala will take place on November 17, 2018, from 4 to 9 p.m.
Watch downtown Ocala come alive with sparkling lights and illuminated icicles. Get in the holiday spirit as you shop from local vendors, sing along to holiday songs, take pictures in front of the tree, and meet Santa. The Downtown Holiday Skating Rink, “Let’s Skate Ocala” will open at the event. Between 20,000 and 25,000 people are expected to attend and the city had to adjust the layout of the event due to the construction of the Hilton Garden Inn hotel.